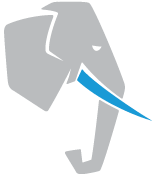 PostgresOpen is a non–profit, community–run conference series in the United States focused on business users, database professionals and developers of PostgreSQL, the open source database. This year PostgresOpen has combined forces with PGConf Silicon Valley to bring together two large Postgres conferences to create an even larger & more exciting event. View our speaker videos from the 2017 PostgresOpen conference here and from the 2016 PGConf SV conference here.